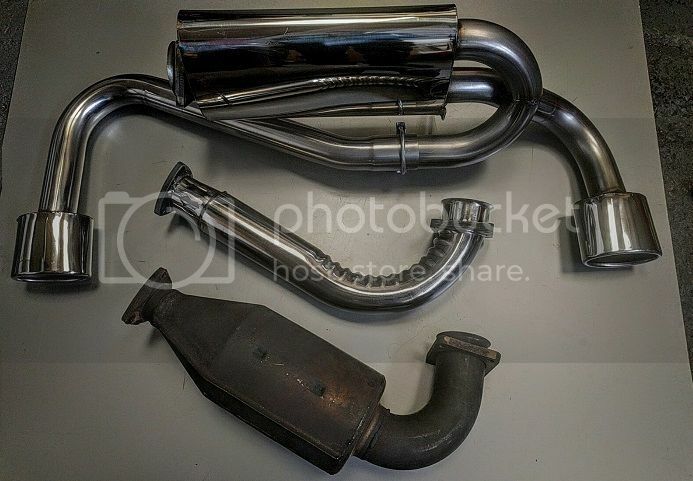 A610 Turbo exhaust - videos! It will be with me in a week or two, so I thought I would take a video of the standard exhaust so I could do a before and after. Interestingly, the exhaust is so quiet that you can't hear it above the road noise. Unfortunately the only time I got to do a close up video of the exhaust itself was at night-time, but you'll get the impression from it. Then I (paid a friend to) remove the exhaust and catalytic converter. Removing the cat was an absolute nightmare! The nuts/bolts were completely seized and access was really poor. He ended up taking the downpipe off in order to get some more wiggle room, then the bolt heads were ground off... Eventually, after a day's struggle, he was done! I'm also getting a decat pipe made up. 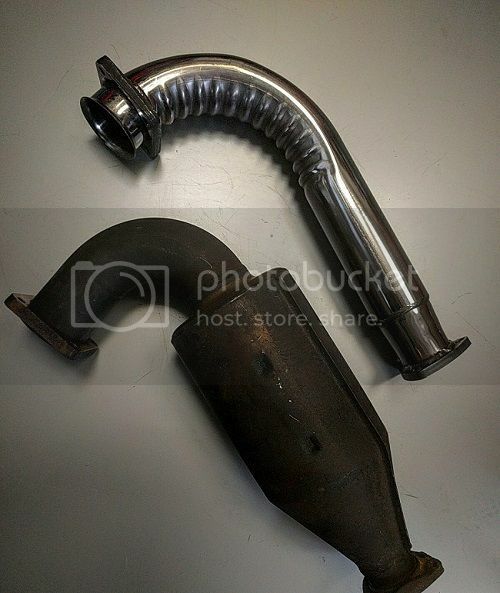 Very much looking forward to receiving the new exhaust. Will post the "after" video here too! Last edited by r5gordini on Tue Mar 15, 2016 6:50 pm, edited 1 time in total. Re: A610 Turbo exhaust - videos! Argh. Half of the video didn't get uploaded! I'll try again. Edit - above link updated. Last edited by r5gordini on Tue Mar 15, 2016 6:51 pm, edited 1 time in total. I am going make a video and use a decibel meter before and after, so I can measure the difference. In your video the wind noise kills the sound maybe get someone to stand at the road side and do a drive past?? You just know this is going to bring a SMILE every mile!! I went for the exhaust with the box, no cat, oval tailpipes. We will definitely hear you turn up that's for certain with straight through pipes. My GTA has one of these straight through systems. Very "raspy" on the over run too. simontaylor wrote: My GTA has one of these straight through systems. Pretty much sorted a de-cat pipe out for Andrew now. We have made them in 3" pipe which should further help power and noise. I can also do these with a 200cpi sports cat for cars that need a cat but want a bit more power as the original is one huge and heavy piece of kit. Full pictures etc to follow hopefully later this week when it is ready. So we finally managed to get this sorted and get Andrew back on the road (no thanks to TNT but there is another story). We supplied a new stainless sports exhaust with the oval tailpipes and also our new 3" de-cat pipe which looks great and should help give the car an injection of power as the whole system should be flowing very freely. The system must weigh around 6-8kg less than the standard set-up too. A quick sound clip from Andrew this morning certainly makes the 610 sound rather better than it did. I'm sure Andrew will be along with a video clip when he gets his GoPro back. I went for a single box with decat on mine. Couldn't live with the straight through and decat combo but sounded ok with the cat back on. Simons sounds great on the GTA but my 610 was quite a bit noisier for some reason. stephendell wrote: Simons sounds great on the GTA but my 610 was quite a bit noisier for some reason. I would expect it to sound different, as running a Borg Warner Turbo which is rather a different size and spec to the trusty Garrett T3. Having fitted the exhaust and driven the car with it, all I can say, is WOW!!! It makes the A610 sound like a true supercar. It sounds like a free-revving V6. Lovely and smooth and sonorous, but not too loud. You can hear the exhaust with the windows up, but it is in no way intrusive. As John said, my GoPro is on loan at the moment, but I will take a new video when I get it back. Sounds great, were you eating a bag of crisps while taking that sound clip? Haha on the plastic bottle/crisps sounds! There was a paper bag on the passenger seat that I chucked the phone onto! I am very, very happy indeed with the end result. The car does feel quite a bit quicker too. Eventually I'll be going for a standalone ECU too but I have issues to attend to with my other cars first, including a new radiator for my Gordini Turbo. Just had the head gasket done on that one too, which cost me £1K in its own right so I need to save some dosh first!